You won't believe this tropical-looking beauty. 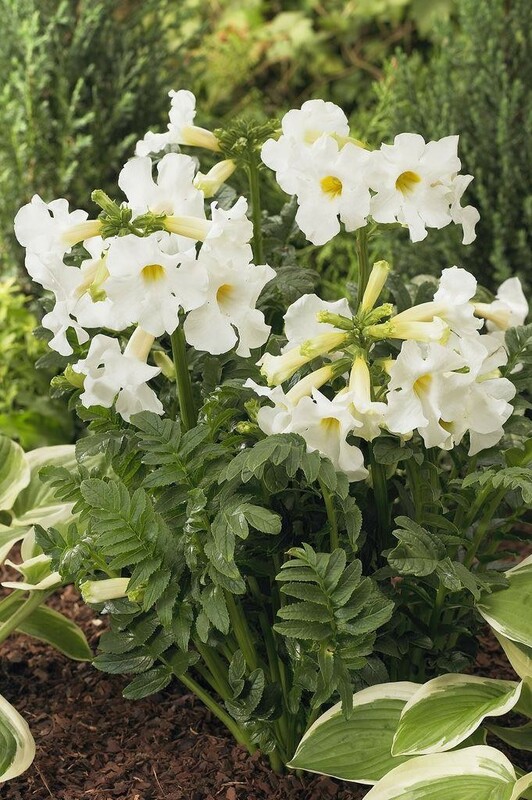 Its large, tubular, white flowers with a yellow throat add a cool, exotic touch to the landscape. The flowers stand 1-2 inches above the long, deeply divided, medium-green leaves. 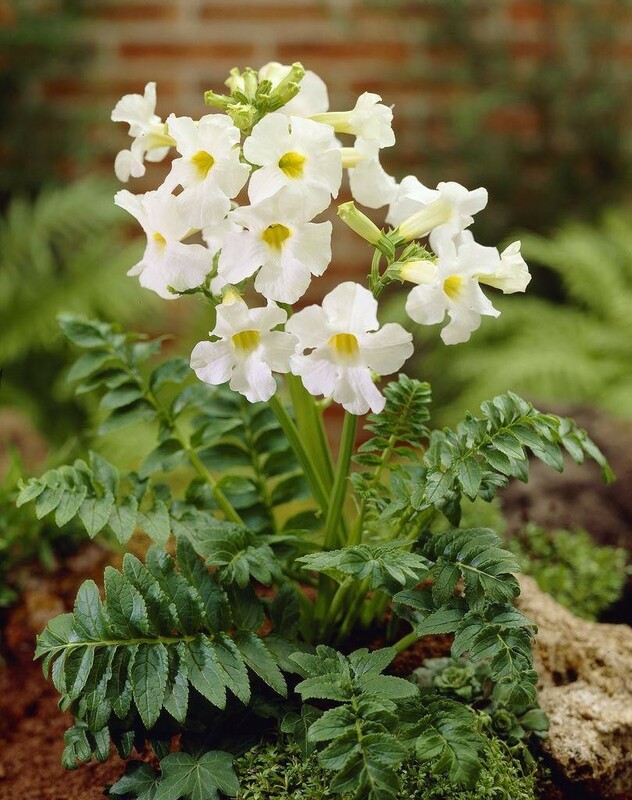 This perennial will bloom for many weeks, beginning in late spring, if regularly deadheaded. Supplied in approx 2 litre containers.